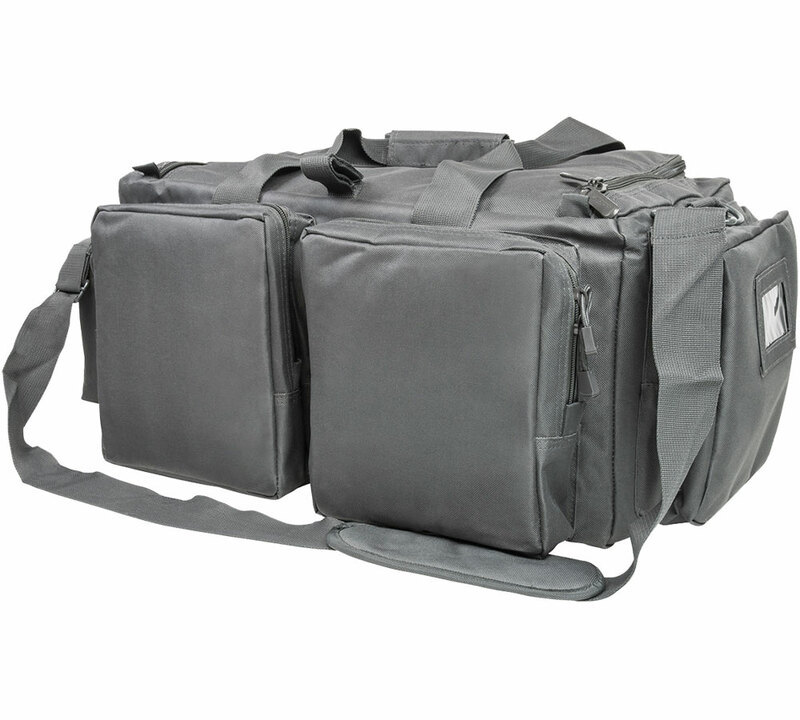 - Main Center Compartment 10"W X 19"LX 9"H, End Inside pockets (2 each) 10"W X 9"H, Padded side pockets (2 Each) 18"L X 8"H (perfect for storing handguns). - Front padded compartment for rifle (up to 4 each) or pistol (up to 8 each) magazine 15"W X 8"H. Elastic loops for rifle or pistol magazines. - Rear Twin Padded Compartment with elastic loops and pockets for: a notepad, pens, shooting glasses 7"W X 8"H.
- Side padded compartment elastic loops for rifle (up to 4 each) or pistol (up to 8 each) magazines 8"W X 8"H.
- Pull out bag with Carry Handles 6"W X 19"L X 7"H. Center Compartment has hook and loop panels for Customizing Inside Pockets arrangement. - Brass Bag with a Mesh Bottom, Adjustable Top Draw String, and with a Metal Clasp Hook 5"W X 6"H.
- Small hook and loop fastener Pocket Dividers 5"L X 6"H.
- Zippered Padded Side Compartments (perfect for handgun storage) 18"L X 7"H.